Despite being a roller coaster of a year in terms of the political landscape and natural disasters, 2017 was a banner year for Amy West Travel. I’m so grateful for this incredible journey I’m on with all of you. This brand would not exist if it weren’t for your readership and engagement with my blog, social media, and contributions everywhere else. I always joke that once you discover me, you’ll see me everywhere because my footprints range from this blog to the advertising world and beyond. You might find me on a commercial in Savannah, a billboard on 95 South, or as an author in a hard cover travel book. I pop up all over the place. Read on to discover the highlights from my year including your favorite blogs, social media posts, and how the year sized up by the numbers. Travel is my obsession, so much so I put it in the name of this brand. Everything I do revolves around it, including the names of my children. As such it makes the most sense to lead out with my travel highlights. 2017 swept me away in a whirlwind of adventure. From a romantic trip in South Beach to a long family trip to California it was epic! I traveled with Four Seasons to the Little Sister of St Kitts, Nevis Island where I covered their annual Sea Turtle Conservation week. Later we were spirited away by Air Unlimited on a private charter to Green Turtle Cay, Bahamas. We also made time for a family getaway to the Golden Isles which holds a special place in our hearts, and in between all that we found a way to spend time with family in Kentucky and Tennessee to boot! I had the pleasure of speaking on a panel at the Portada conference as an influencer, I attended the BlogHer conference in Orlando as well and spoke on air live with The Chat ladies regularly. All this while also weaning my toddler and getting her to sleep through the night! Oh and there was this giant hurricane named Matthew that drug it’s way through our sunny state leaving in it’s path so much destruction. We are grateful we made it out unscathed, however our house is still on the mend. Thanks so much for celebrating with me these achievements both personal and professional. In this crazy world of story telling and creating, it’s increasingly harder and harder to compartmentalize some of the personal stuff. I enjoy the privilege of working from home and being there for my family, but I will say its challenging to accomplish a lot of this while having two children and not employing a nanny. Alas, we made it through the year and I’m so proud, looking back, at everything accomplished. Honestly this was a tough one because Instagram has undergone so many changes this year with the algorithm. From the best that I can tell according to analytics on engagement and likes, these are the top posts from this year. Conferences = Attended BlogHer Orlando and Spoke on a panel at the Portada conference in Miami. I also spoke as a panelist at the annual media summit for the Florida Public Relations Association. Influencer/Brand Ambassador Work = 100+ brands I’ve worked with this year. So many I lost track. 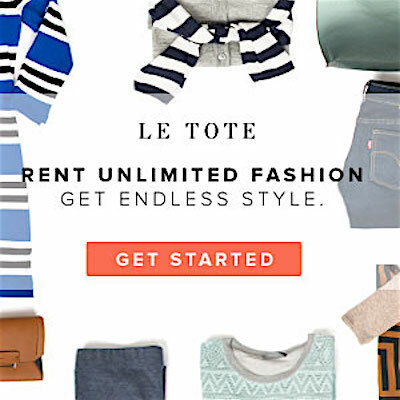 Most recently Le Tote, Ludus Martial Arts, Ideal of Sweden and more. Check out my Instagram for more of that work. As you can see it’s been a huge year. It’s funny I was kind of thinking I didn’t do a ton until I started to unravel everything by the numbers. That’s why I love doing these recaps so much. Here’s a look a few things in the works for this coming year…. I can’t wait to share all my 2018 adventures with you, and experience some of yours as well. Please remember to stay in touch and say hi when you see me. It’s my favorite thing to meet you all in person.